Jan. 4, 2018 — Now that we are officially in election year 2018, it is a good time to set the stage for the coming campaign season. With Democrat Doug Jones converting the Alabama special election last month, and new Sen. Tina Smith (D-MN) standing for a concurrent special election this November, a different picture exists for the coming Senate election campaigns. Before Alabama, it was a virtual mathematical certainty that the Republicans would retain Senate control after the 2018 vote because the Democrats had too few viable conversion targets. The Jones’ special election victory to permanently replace Attorney General Jeff Sessions, who left the Senate in order to accept his Trump Administration position, now gives the Democrats a path to attaining the majority but they still must overcome the GOP’s strong defensive wall. Only forced to defend eight of the now 34 in-cycle seats, the Republicans are most at risk in Nevada and Arizona. In the Silver State, first-term Sen. Dean Heller (R) currently defends his statewide position against two known opponents, only one of which is a Democrat. Perennial candidate Danny Tarkanian, who has lost campaigns for five different offices (state Senate, Secretary of State, US Senate, Congressional District 4, and Congressional District 3), is nevertheless 4-1 in Republican primaries. 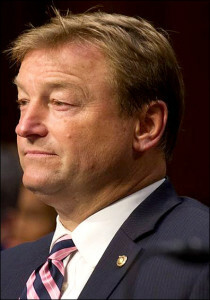 Therefore, Sen. Heller’s first task is to secure the GOP nomination in June. Already we have seen erratic polling, with the Tarkanian camp and some national pollsters posting him ahead of Heller, but the senator and other independent research firms countering with the opposite result. Democrats are coalescing around freshman US Rep. Jacky Rosen (D-Henderson). She only defeated Tarkanian by one percentage point in the open 3rd District 14 months ago, and so far draws mixed reviews in terms of perceived strength as a statewide candidate. Her biggest advantage is having former Senate Majority Leader Harry Reid (D-NV) fuse a united Democratic Party behind her. Turnout here, possibly more than in any other state according to recent electoral voting patterns, will determine this contest’s outcome. Nevada Democrats have done very well in high turnout elections; likewise, for Republicans under low voter participation models. It is probable that this campaign remains a toss-up all the way through the election season, assuming, of course, that Sen. Heller wins the Republican nomination. In Arizona, Sen. Jeff Flake (R) has already announced that he will not seek a second term in the face of very poor job approval ratings particularly among Republicans due to his public feud with President Trump. An open race, however, likely improves GOP retention chances. Gov. Doug Ducey would be the Republicans’ strongest potential candidate, but he has shown no desire to bypass his re-election campaign for a shot at moving to Washington. This leaves sophomore Rep. Martha McSally (R-Tucson) waiting in the wings, but she has yet to announce her statewide candidacy. 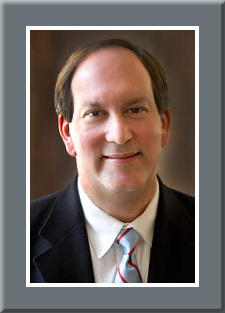 With a May 30 candidate filing deadline and an Aug. 28 primary election date, this campaign will be slow to develop. Here, too, the Democrats are smartly coalescing behind one candidate. Three-term Rep. Kyrsten Sinema (D-Phoenix) looks to be an early lock for the party nomination, with so far all of the other major Democratic political figures backing away in her stead. An Arizona campaign featuring Reps. McSally and Sinema could well become the premier national Senate race. Sen. Orrin Hatch’s (R-UT) newly announced retirement obviously changes the Utah political picture and all eyes are now focusing upon former presidential nominee Mitt Romney. Heretofore, Romney has not expressed interest in a Senate run, but Sen. Hatch was openly encouraging such a candidacy in the event of his retirement. Romney would have a presumed easy run should he choose to enter the race. In any event, an open Utah seat will remain in the Republican column. The open Tennessee campaign has changed greatly, too. Now that the Democratic leadership has surprisingly convinced former Gov. Phil Bredesen to enter the race, a more competitive general election will be featured in the Volunteer State. The eventual Republican nominee will still be considered the favorite because Tennessee has turned so decidedly Republican since Bredesen left office, and such is likely to be either Rep. Marsha Blackburn (R-Brentwood) or former US Rep. Stephen Fincher (R-Crockett County). Early polling gives Rep. Blackburn a huge opening lead for the Republican nomination, but this campaign has a long way to go until the August primary. Texas Sen. Ted Cruz will face a credible general election opponent in Rep. Beto O’Rourke (D-El Paso), but the first released poll, a WPA Intelligence survey (Dec. 12-14; 600 likely Texas voters) gives the first-term incumbent a 52-34 percent opening advantage. The remaining in-cycle Republican incumbents, Sens. Roger Wicker (MS), Deb Fischer (NE), and John Barrasso (WY), all appear safe for re-election but each faces speculation about potential primary opponents. • Tomorrow: Senate Preview Part II — Continuing our New Year’s preview, today we look at the 2018 Senate races from the Democrats’ perspective.